Lesley Batchelor OBE is Director General of the Institute of Export, the professional membership body for everyone involved in international trade. Here she gives an overview of the different insurance options available and their significance. What types of insurance do I need to export? When we start to trade internationally you will realise that everyone talks about insurance in very different terms. The introduction is an attempt to provide you with an overview of what each type of insurance does and where it might impact on your international business and in some cases on your ability to trade profitably. In some markets Product Liability and Professional Indemnity premiums are very high mainly due to the high level of litigations that are brought to trial mainly, USA & Canada. These markets attract such a huge amount of legal activity and insurers will add a lump sum to the annual premium (upwards of £5K) and add more as they determine the level of risk they are exposing themselves to in this market. When travelling in the USA you will see attempts to mitigate against these actions in the warning on the coffee cups of ‘caution hot’ and even on a hammer a note ‘not to be used on human flesh’ – product liability to an extreme! Over this section we will explore the various elements of Insurance in terms of impact on international trade and explain some of the terms that are commonly used. This insurance covers the cost of compensating clients for loss or damage resulting from negligent services or advice provided by a business or an individual. 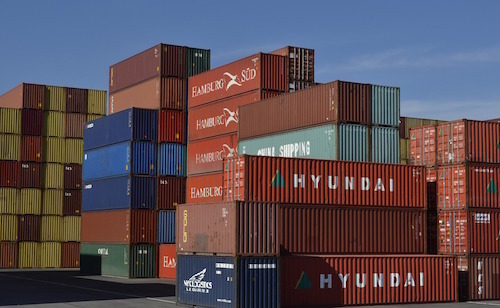 You go into further depth via Open to Export’s articles on product liability insurance, professional indemnity insurance, trade risk insurance, and also cargo insurance. If your cargo is uninsured and the paperwork is deficient in any way, the goods arrive at the port/airport of destination but will sit on the dock side/warehouse accruing charges until cleared. This will mean charges and probably a rejection could mean the return of the goods, extra costs or the destruction again more costs or if you’re lucky just additional charges before the goods are cleared to continue their journey to the customer. If a software product fails to perform properly, it may not cause physical, personal, or advertising damages, therefore the general liability policy would not be triggered; it may, however, directly cause financial losses which could potentially be attributed to the software developer’s misrepresentation of the product capabilities. For more on the common issues that insurance can help you avoid or allay, read Open to Eport’s ‘Insure to ensure you get paid’ article. Be aware of the risks you’re exposing you company to. These risks if faced in the UK are a nuisance but, internationally they will drain your business of time and money in both legal costs both here and in the market where you have sold and air fares.